Neutrality or Impartiality are well accepted and practiced values that are important cornerstones of mediation; nonetheless mediators usually bring biases and preferences with them into the room, as do the parties. Mediators are responsible for becoming aware of these biases, especially when they are unconscious, so that they can conduct themselves in an impartial manner. Mediators sometimes can encourage parties to bring their biases into the open where they can be dealt with more effectively. Especially difficult kinds of insulting behavior are “microaggressions” defined as minor slights that are usually well-intended by parties and mediators. This talk is intended to raise awareness of biases and microaggressions, and to suggest means for preventing them and ways of responding to situations in which they commonly occur. ALAN GROSS, PhD, has mediated, arbitrated, facilitated, and trained for over 20 years at many venues in the Northeast US where he served as Senior Director, and 9/11 Family Mediation Coordinator for the Safe Horizon Mediation Program in New York City. That work with 9/11 victims was recognized with a US Department of Justice Volunteer for Victims Award. He has also been appointed as ombudsman for the American Psychological Association, as arbitrator for AAA, FINRA, and as mediator for the US Postal Service and the US Army. Gross holds MBA and Ph.D. degrees from Stanford University and was formerly Psychology Department Chair at the University of Maryland. He is a Fellow of the Association for Psychological Science, and the author of a textbook and more than 50 chapters and papers related to conflict resolution and social psychology. 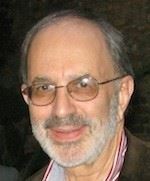 He is the recipient of the 2011 ADR Achievement Award from the Association for Conflict Resolution, Greater NYC Chapter, and currently teaches graduate courses in mediation skills at the NYU Center For Global Studies. As a Founding Member of Mediators Beyond Borders, he has trained Liberian refugees, Ghanaian attorneys, UN staff in Sierra Leone and Peace Network in Iraq.